Kojima also talks about how it’s working in Japanese companies. It might be years before we get the full story as to what caused the rather ugly split between Konami and famed Metal Gear Solid 5: The Phantom Pain director Hideo Kojima. It recently came to light that now that he is officially out from under Konami’s thumb and he is able to start talking about the indie studio he just stated. Despite making his divorce with Konam, it appears he’s still under contractual terms that have barred him from talking about why the two parties split. 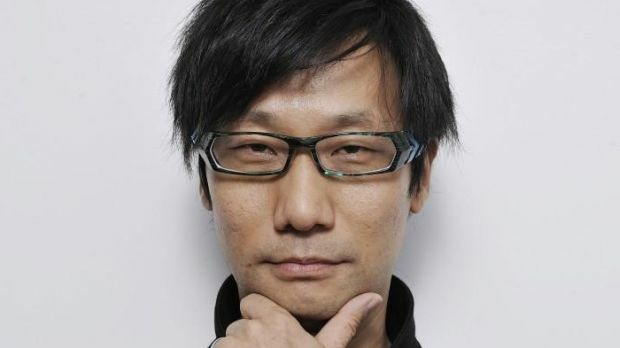 Because Kojima is Kojima, it should come as no surprise that he’s managed to shed at least a little bit of light on just what happened between he and Konami, basically by talking around the questions and allowing us to connect the dots. He recently sat down for an interview with The New Yorker where he made some comments that were pretty obviously some pointed barbs aimed at Konami. “In order to target the global market, the management behind the project needs to have a keen sense for what will work, and be willing to take risks,” Kojima said. If you’re only focussed on the profits immediately in front of you, the times will leave you behind. It becomes impossible to catch up again.” Kojima also talked about the massive bureaucracy that is especially present in Japanese companies. “When working in big companies, especially Japanese companies, every little thing has to be approved beforehand, and you need paperwork to do anything,” he said. “Now that I’m independent, I can do what I want with much more speed. I don’t need to invest time in unnecessary presentations. I shoulder the risk.” These comments make it pretty clear what wasn’t sitting well with Kojima when it came to working with Konami.